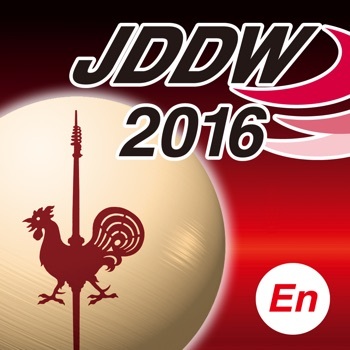 ----------------- JDDW 2016 ----------------- 2016.11.03[Thu.]-6[Sun.] ---------------------------------- Introduction of the main functions ---------------------------------- Abstract search function: You can search abstracts you want to view. Bookmark function: You can save abstracts at Bookmark, and display a list of them. Time table function: You can check the venues and time of each session on Time table. Venue map function: There is a function that show the location of the venue for each session. Publisher: OMURA PRINTING CO., LTD.